. Changing to winter robes (nochi no koromogae 後の更衣 .
. Memorial Day for Kaga no Chiyo-Ni 加賀千代 .
. Angel Festival 天使祭 .
. Mahatma Gandhi Birthday. 1947 - India .
. Memorial Day for Iida Dakotsu 蛇笏忌 . water dries out for the first time .
. Ceremony of the Komyo Mantra 光明真言会 .
. Memorial Day for Takano Suju 高野素十 .
. World Animal Day .
. Daruma Memorial Day 達磨忌 .
. Our Lady of the Rosary ロザリオ祭 .
. kanro 寒露 cold dew .
. Konpira Shrine Festival 金刀比羅祭 Kompira, Shikoku .
. Health and Sports Day 体育の日 .
. World Homeless Day .
. Hero's Day (Mashujaa) - Kenya .
. Memorial Day for Taneda Santoka 種田山頭火 .
. Memorial Day for William "Bill" Higginson .
. Uzumasa Bull Festival 太秦の牛祭 Kyoto .
. Memorial Day for Utagawa Hiroshige　歌川広重 .
. Columbus Day - America .
. Memorial Day for Saint Nichiren 日蓮忌 .
. World Food Day .
. World Poverty Day .
. Chrysanthemum memorial ritual 菊供養 .
. Mashujaa (Heroes' ) Day - Kenya .
. Kurama Temple Fire Festival 鞍馬の火祭 .
. sookoo 霜降 Soko. frost descends .
. Lunar Chrysanthemum Festival 旧重陽 .
. Halloween, Hallowe’en ハロウィーン .
. Harvest Thanksgiving - Erntedankfest .
. Canadian Thanksgiving - Canada .
. Oktoberfest - Octoberfest - Munich, Germany .
. WKD : October - a Haiku Month .
. WKD : World Days in October .
. Ceremonies, festivals, rituals - October .
. Memorial Days of Famous People - October .
. KIGO CALENDAR - November, December . On the 20th day of the tenth lunar month. (Some saijiki place this now in early winter). Prostitutes and merchants of Kyoto go to a special shrine, Kanjaden 官者殿, to pray and get absolved for for all the lies they have been telling their clients in order to maintain their good business. To attune for their sins, they make very cheap bargain prices and this has formed into the normal bargain sales of kimono shops and later the large department stores. 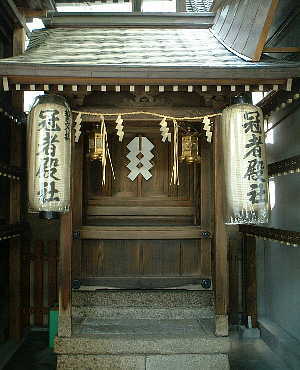 Later a visit to this small shrine was also done to get absolved for lies in a love relationship, especially for the many geisha of the Gion quarters. mugon moode 無言詣 shrine visit without talking. Ebisugire refers to the fact that it was done on the Day of Ebisu, the Deity of the Merchants. seimon 誓文 is a written oath.
. Ebisu えびす　恵比寿 .
. Mugon Mode at the Gion Festival . It is close to Yasaka Shrine and the Gion quarters in Kyoto and belongs to the Yasaka Shrine group 八坂神社. 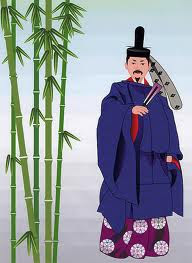 A priest and military commander of the Heian Period. 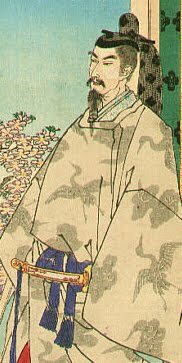 The story is related to Minamoto no Yoshitsune. 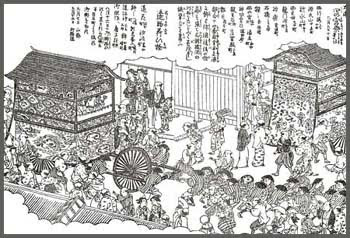 On his way to Kumano, Tosanobo had come to Horikawa to take the life of Yoshitsune, on behalf of his brother Yoritomo, but Yoshitsune him sign an oath of loyalty to himself on three pieces of paper each instead . 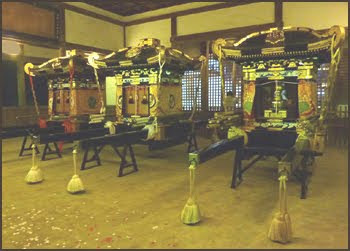 Three written oaths were kept at Hachimangu, one at Kumano Gongen and the third had been burned to ashes. Tosanobo then ate the ashes to convey his sincerity to Yoshitsune. But Tosanobo was going to attack Yoshitsune anyway in that night. 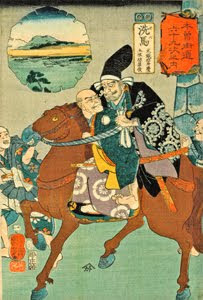 Yoshitsune's loyal retainer Benkei mistrusted the written oath of Tosanobo and warned his master. The story then continues with betrayal and revenge . . .
Tosanobo Shoshun, his real name was Shibuya Konnomaru 渋谷金王丸. Now kept at Horikawa Gosho in Kyoto 堀川御所. 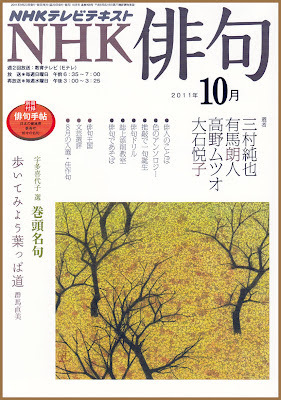 google book including the story of Tosa no Bo. a prefecture in northwestern Shikoku, Japan. The capital is Matsuyama　松山.
. Matsuyama and Masaoka Shiki (松山と正岡子規) .
. Ehime - Entries of this BLOG . 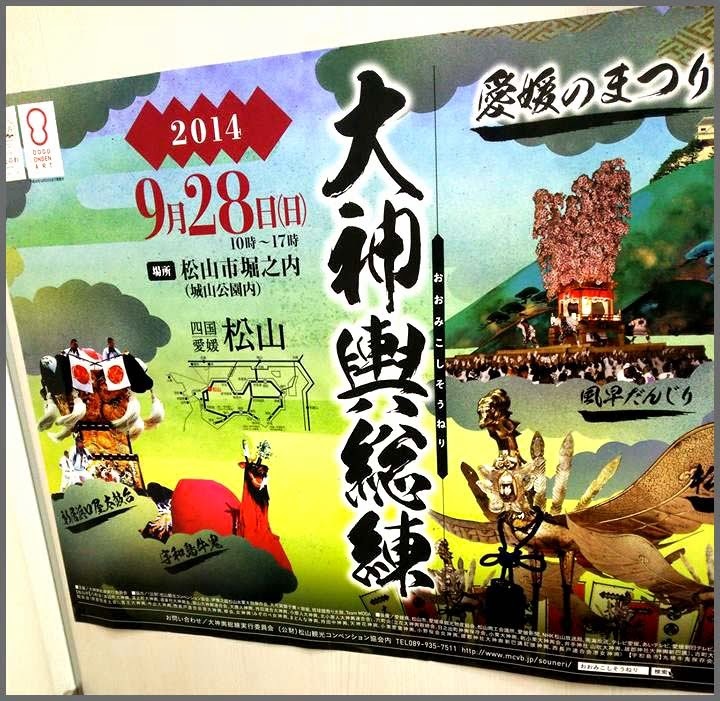 Lasting for two days, Isono Shrine Festival is one of the biggest events held in the whole of Saijo City. 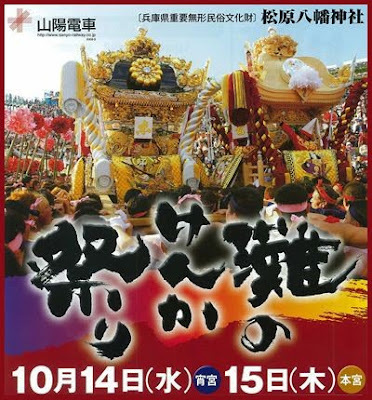 It begins on October 15th at 2:00 am with the sacred Omiyadashi (taking out of the Shrine) and ends on October 16th at 4:00 pm with the sacred Miyairi (returning to the Shrine). The highlight of the festival includes more than 80 Danjiri and Mikoshi floats which are paraded around the area. During the festival more than 100 lanterns are lit from dusk until dawn to reproduce a scene from old Japanese picture scrolls. The origin of this event remains unclear, but it can be found on some documents dating back to Edo period, in the year of Horeki 11th (1761 according to the Christian calendar). Omiyadashi - On October 15th at about 2:00 a.m.
Otabisho - On October 16th at around 2:00 a.m.
Gotenmae - On October 16th at about 7:00 a.m.
Kawairi - On October 16th at 3:00 p.m.
the floats gather at the banks of Kamo river where the festival's finale takes place. With all the floats lined up to see off the Mikoshi that is going to Isono Shrine for Omiyairi, a beautiful scene begins to unfold. The setting sun behind the spectators reflects off of the river and shines onto the floats creating an impressive view. Regretting the end of the festival, a float from the Kobe district tries to obstruct the procession of Mikoshi in an apparent effort to prolong the festival. When at long last the Mikoshi have crossed the Kamo river the festival comes to an end. 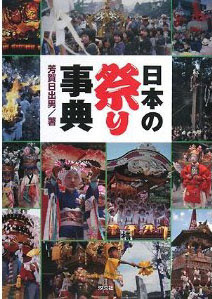 One of the three great festivals of Shikoku Island. 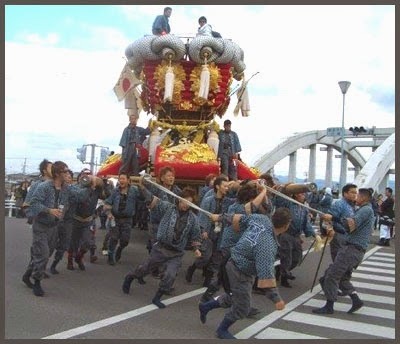 Centered on the three days from October 16 to 18, over fifty lavish taiko drum floats decorated with gold and silver tassels are paraded around the city on the backs of 150 men each. An exciting event during the festival is when the floats compete in a "kaki kurabe" where groups compete to see which group can lift their float for the longest amount of time.
. 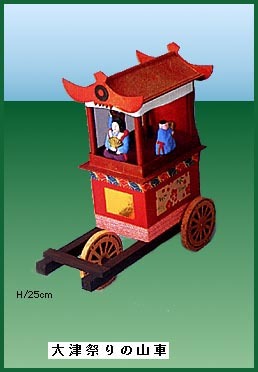 Regional Folk Toys from Japan - EHIME . Kunisaki City, Oita Pref. on October 14. 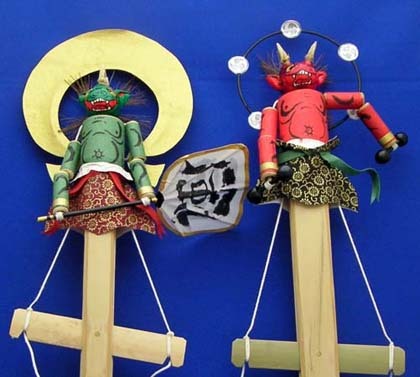 The origin of the word “kebesu” is not clear; some say it comes from a phrase in a norito (Shinto prayer) referring to “a boy who kicks fire.”Other say it is a local pronounciation of the deity Ebisu. 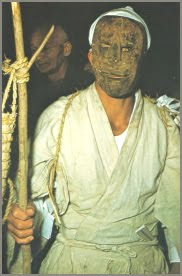 On the festival night, the “Kebesu,” who is wearing a grotesque mask, walks around the precinct, hitting the stick called “Samasuta” with a fan and dashes toward the holy bonfire. Then some men called “Toba トウバ” in white costume try to guard the fire and repeatedly fight with Kebesu for fire. Toba run after the spectators with burning fern in their hands. It is said that if the sparks fall on you, you will be good in health throughout the year. 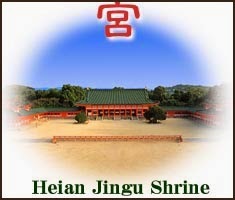 The festival is designated as a prefecture’s Intangible Folk Cultural Property. This is one of the few unique festivals in Japan. Before participating in the festival, all menfolk clad in white walk to the sea shore and take a purifying dip in the cold water. 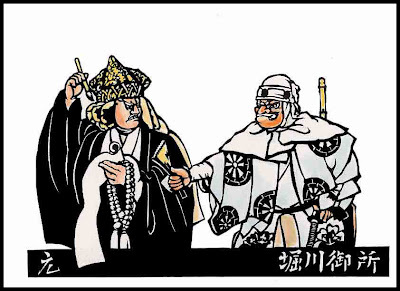 The man performing the KEBESU of this year puts on a mask and then the priest of the shrine makes the sign of kebes on the back of the kneeling person, to put the deity inside his human body. After the festival, kebesu kneels again and the priest writes the word MAN on his back. It is a great honour to be choosen as the kebesu of the year. kunimi 国見 "looking at the country"
There are many places with this part in the name. My favorite is Kunimi Onsen hot spring in Iwate. It goes back to olden times, when the local priest-shaman went to the top of a nearby hill and looked down to foretell the events and the harvest for the coming year. By looking at the cherry trees and buds and praying to them, he could make predictions about the harvest. This is one of the sources of the cherry-blossom activities in Japan. is a mountain to the north-west of the city of Kyoto. 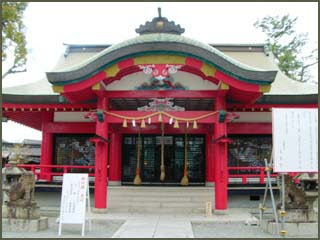 It is the birthplace of the Reiki practice, and is said to be the home of Sōjōbō, King of the Tengu, who taught swordsmanship to Minamoto no Yoshitsune. 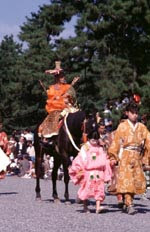 Kurama is also the location of the annual Kurama Fire Festival (鞍馬の火祭り, Kurama no Hi-matsuri), which takes place every October. Kurama Temple (鞍馬寺, Kuramadera) is now designated as a national treasure of Japan. Kurama-dera, a Buddhist temple, is located in the wooded slopes above Kurama town. From its main gate in the town's center, the main buildings can be reached in a 30-45minute climb up the mountain. A cablecar leads halfway up. Along the ascent to Kurama-dera stands Yuki Jinja 由岐神社, a shrine famous for its Fire Festival held annually on October 22. Kurama-dera's main buildings stand on a terrace on the mountain's slope, overlooking the wooded valley. 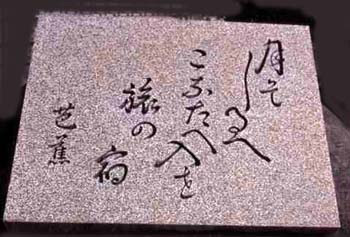 The philosopher Hayashi Razan lists one of the three greatest of the daitengu as Sōjōbō 僧正坊 of Mount Kurama. The tengu goblins of Kurama and Atago are among the most famous tengu of Japan.
. 四十八天狗 48 Tengu of Japan . Goho Mao Son symbolizes power and the earth. 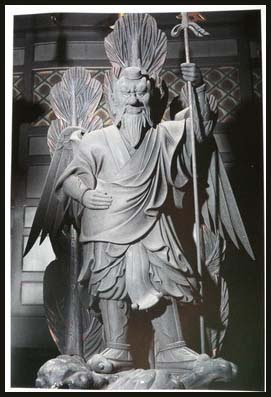 Goho Mao Son, the great King of the conquerors of evil and the spirit of the earth, looks almost like a tengu himself. Legend says he came to earth from Venus more than 6500000 years ago. He is shown as a male of the age 16 and remains young for ever. He is a special secret Buddha of Kurama temple. Mao-son, Bishamon-ten, and Senju-kannon are the symbols of the universal soul, forming a Trinity known as "Sonten" or the "Supreme Deity". Sonten is the "Living Soul", the "Supreme Soul of the universe", the "Glorious Light", and the "Activity of the Soul". "We trust in Sonten for all things." 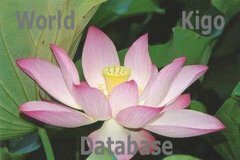 Sonten is the creator of the universe, and cultivates the development of everything all over the earth. He rests deeps in our individual minds, and causes the "Great Self" or "Atman" to wake up within our hearts. He gives us new power and glorious light. More than six million years ago, Mao-son (the great king of the conquerors of evil and the spirit of the earth) descended upon Mt. Kurama from Venus, with the great mission of the salvation of mankind. Since then, Mao-son's powerful spirit governing the development and the evolution not only of mankind but of all living things on Earth has been emanating from Mt. Kurama, and a priest named Gantei received the spiritual transmission. It used to be for five days from April 18 till 22, but now it is for seven days till 24. At the temple Kuramadera flowers are offered and prayers of repentance (senboo) are spoken. During this period,the main deity, Tamonten (Bishamonten), which is usually hidden (hibutsu), is shown to the public. Small children in court robes form a procession and throw artificial blossoms for the visitors. There are performances of dance, kyogen, songs, tea ceremonies and more by the believers of Bishamonten. Every day there is something else to enjoy. On June 20 at temple Kuramadera. Four bamboo poles in front of the main temple hall are cut by two groups of people clad in formal robes, the east and west group. They use special woodman's hatchets (山刀) and fight for speed. The group which finishes first will be used to divine the harvest of the coming autumn. In the annual ceremony eight male parishioners clad in costumes of warrior monks form two teams. Upon a signal the teams rush out to cut 4m long and 10cm thick green bamboo poles with strokes of mountain hatchets (山刀) into eight pieces. The poles symbolise the serpents, which are incarnations of evil. The ceremony is performed to pray for a bountiful harvest. The area represented by the winning team will enjoy rich harvests that year. The teams of Omi and Tanba represent the eastern and western sides of Mt Kurama. In ancient times the area around Lake Biwa was called Omi and parts of Kyoto and Hyogo prefectures Tanba. Tagyuraku is a kind of polo dance in which the dancers are dressed as courtiers of the Heian period. Polo was an ancient Persian sport known in China of the Tang dynasty and thence introduced into Nara of the Heian period. It is said that 88 or 40 persons played this polo like game on horseback. What is now left from the game is the music accompanying traditional court dance. Look at the photos of this link ! The Tiger hour is about 3-5am. 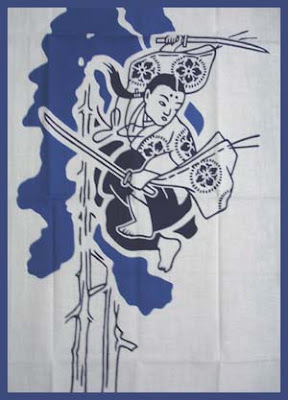 Tiger Month is January and the Tiger day comes up every 12 days.
. ha-uchiwa 天狗の羽団扇 "feather fan of a Tengu" . This is the fan of the great tengu from Kurama mountain, used to ward off all evil during the goma fire rituals. is the mythical king of the tengu, minor deities who inhabit the mountains of forests of Japan. 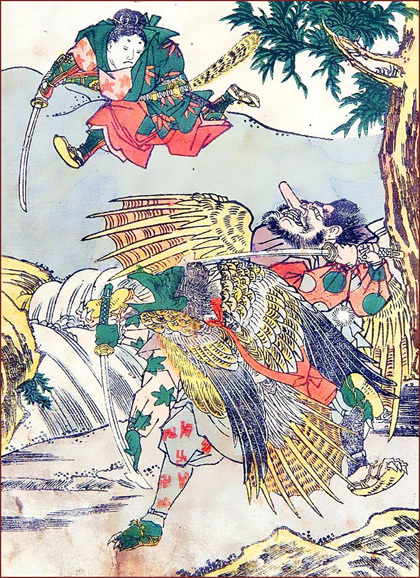 Sōjōbō is an ancient yamabushi (mountain hermit) tengu with long, white hair and an unnaturally long nose. 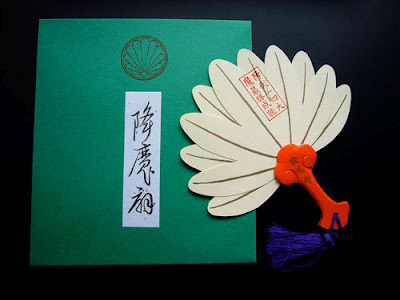 He carries a fan made from seven feathers as a sign of his position at the top of tengu society. He is extremely powerful, and one legend says he has the strength of 1,000 normal tengu. Sōjōbō lives on Mount Kurama (north of Kyoto). Sōjōbō is perhaps best known for teaching the warrior Minamoto no Yoshitsune (then known by his childhood name Ushiwaka-maru or Shanao) the arts of swordsmanship, tactics, and magic in the 12th century. 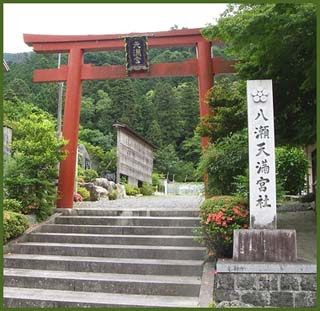 In fact, the name "Sōjōbō" originates from Sōjōgatani, the valley at Mount Kurama near Kibune Shrine associated with the Shugenja. It is in this valley that Ushiwaka trained with Sōjōbō in legend. This relationship serves as the basis of many Japanese woodblock prints, including one by Tsukioka Yoshitoshi. Also in some Japanese villages, parents spread the myth that he eats little boys to stop them going into the forests at night. Tengu no uchiwa　天狗のうちわ .
. Fan (oogi 扇　- uchiwa　団扇）. c. 1760, by Shunsho Katsukawa (1726-1792). Basho alludes to a line from the No play Tengu on Mount Kurama, in which the blossoms are the guides. the moon will guide you . . .
During that time the Teimon school was in full swing and it was popular to make an allusion to poems and songs of old. ***** . Kurama gannin 鞍馬願人 Gannin from Kurama . They are about 30 to 40 cm high. The deities of Wind and Thunder 風神雷神. Made from bamboo with a string to pull for moving the fan and arms.